Aloha! Thank you for visiting. Electric cars are no longer a fad in Hawaii. With the state aiming to be 100% fossil free by 2045, there are already over 34,000 electric cars in on our islands and that number is growing fast. Hawaii has the second highest per capita adoption rate in the United States. 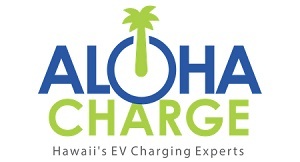 At Aloha Charge our goal is to find the right charging solution for your company’s specific charging needs.